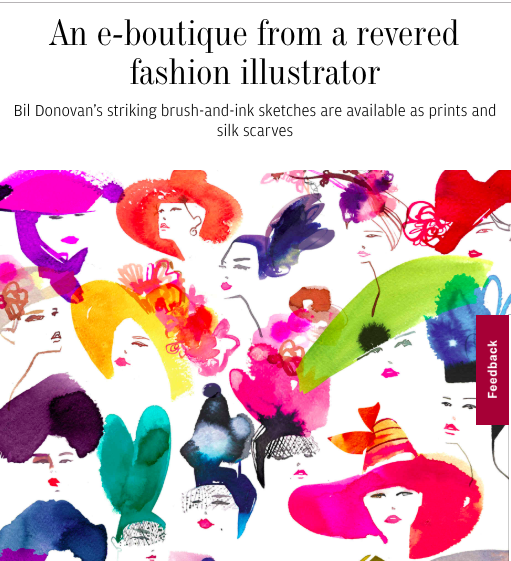 Bil Donovan has been creating gorgeous fashion illustrations for decades, but the only place to buy one is on his site. A select few are available on silk scarves as well. Read a bit more about him and his work here.